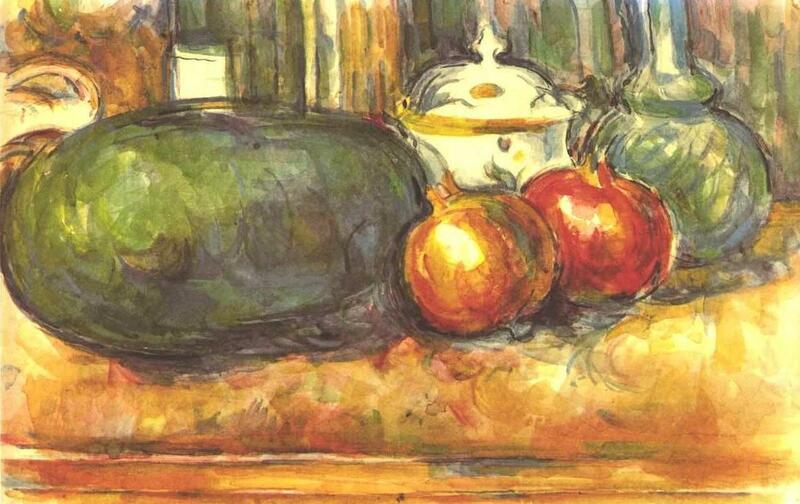 This still life water color by Paul Cezanne features a watermelon, pomegranates and pottery. It has great motion leading your eye around the painting. The modules of green on both sides of the painting give unity. The orange and red pomegranate pop out against the green vase and watermelon. This painting also has a good steady rhythm from the contour lines and patches of colors.